IPL fans wait for IPL 2011 Schedule but no Declaration yet! IPL crickets fans are really disappointing as there isn't any schedule (timetable) announcement yet. Let's see how many days the IPL cricket board will take for announcement of IPL 2011 Schedule. The IPL season 4 promises to be more exciting than previous seassons. The fourth season of the IPL will start on 8th April, just few days after the ending of the ICC World Cup 2011 and end on 22nd May. Thus, IPL 2011 has 44 days time span in comparison to 45 days in IPL 2010. The opening ceremony of the IPL 2011 is scheduled to take place on 7th April in Chennai. 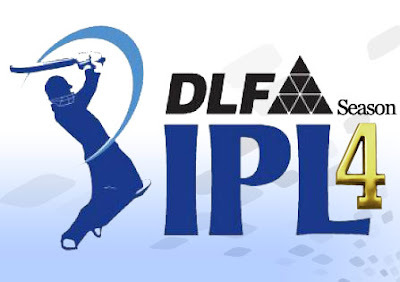 IPL 4 will include total 10 teams as the two new franchises Kochi Team and Sahara Pune Warriors have joined the 8 teams for the 2011 season of IPL. According to BCCI, the teams will play only 14 matches each - 7 home and 7 away. Total 70 League matches will be played pursued by the four teams going into the same play-off structure that was formerly declared with the top 2 teams conflicting with each other, and likewise for teams 3 and 4. As per the announcement from league, each side will play against two teams at home only, five teams home and away, and the residual two teams away only. In the semifinal, an additional play-off will be played between the top two teams from the league rounds. First time, the IPL 4 is going to be without Lalit Modi. IPL 4 is the 1st IPL for Chirayu Amin and he has already assured that IPL 2011 is going to be much better and bigger than 2010.